British Academy Television Award winner, David Mitchell is best known as British Comedian, actor, and writer. He also served as a participant on British Panel Shows as a team captain on Would I Lie to You? He is a host of the popular show, The Unbelievable Truth and co-host of news program 10 O'Clock Live. He published a comedy book called "The Mitchell and Webb Look" along with comedy partner, Robert Webb. 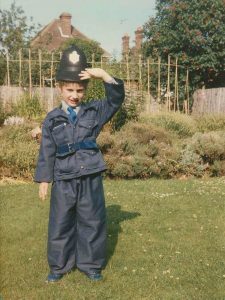 David James Stuart Mitchell was born on 14 July 1974 in Salisbury, Wiltshire, England. His parents were Ian Douglas Mitchell and Kathy Grey Mitchell who were a lecturer at Oxford Brookes University on hotel management. David joined Napier House Primary School and also attended New College School. At the age of thirteen, he enrolled a public school in Oxfordshire named Abingdon School. He was class toppers while in school. Later in 1993, he attended Peterhouse, Cambridge University to read history where he met his future wife, Victoria Coren. Since his childhood, he always wanted to be a comedian. In 1995, he performed with the Cambridge Footlights and became president for the academic year for 1 year. David started his early career as a theater artist. He worked as an usher at the Lyric Hammersmith Theater. To pursue his interest in Comedy, he did comedy partnership with Robert Webb. Together, they started a project about a show called "Innocent Millions Dead or Dying: A Wry Look at the Post-Apocalyptic Age" in 1995. In 2000, he debuted as a television actor and writer along with Robert Webb in the BBC show "Bruiser". The next year, they ran a show of their own called "The Mitchell and Webb Situation".However, the show was not successful as they expected. In 2003, David starred in the Channel 4 sitcom Peep Show with Robert Webb which aired nine series. It was the longest-running sitcom in Channel 4 history. Mitchell achieved British Academy Television Award for Best Comedy Performance for the show. 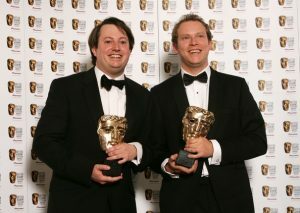 Furthermore, the duo did another sketch comedy, The Mitchell and Webb Sound which include five series. In 2006, they also made the first tour with the show The Two Faces of Mitchell and Webb. In 2007, David appeared in the movie Magician as magician 'Harry' which got a positive response from public and critics as well. Mitchell and Robert Webb published his first comedy book,"The Mitchell and Webb Book" in 2009. He is a writer of the BBC2 impressionist sketch show "Dead Ringers". He is also a narrator of the reality show "Beauty and the Geek". Adding more, he has narrated BBC Radio 4 serial "The Death of Grass " in 2009. In 2016, he served as a narrator in the radio program, "Behaving Ourselves: Mitchell on Manners". He is a writer of the column The Observer and The Guardian. He has created an audiobook, entitled Back Story, which was published on March 2, 2017. In 2010, he served as a host along with Jimmy Carr, Charlie Brooker, and Lauren Laverne in the live show "10 O'Clock Live". He ran solo segment "Listen to Mitchell" for three series. Recently, he appeared in television role as Stephen in "Back" and also served as executive producer. David Mitchell is happily married with his long-term girlfriend Victoria Coren since 2012. Victoria Coren is the English writer, presenter and also professional poker player. She is the daughter of the Late television personality Alan Coren. According to the source, they came to know each other since 2007 but at that time, Victoria was in a relationship with another man. However, they started dating since 2010 and finally got married. They organized lavish marriage ceremony. The couple married in front of their family, close friends and various television stars including his comedy partner Robert Webb at St Peter's Church in Belsize Park, North London. In 2014, his wife gave a birth to a daughter, Barbara Mitchell. The husband and wife usually go for an outing along with their daughter and spends quality time together. The duo is happy together and there is no sign of their separation in near future. As an established comedian and writer, he earns good amount of salary. His major source of income is his films, books, and various comedy shows. As of 2017, he is number one in the list of top ten highest paid actors of People with Money. In, addition, he has earned 2.16 million followers on Twitter. He is living a luxurious life with his glamorous wife and a daughter in the United Kingdom. As of 2017 net worth estimation, his net worth is approximate $58 million.